Bigger traffic – of course, the top positions in the Google search results will lead to significant traffic increases for your website. Not only that, but SEO also focuses on creating keyword relevant title tags and meta descriptions which show up in the result pages. In other words, you will get even more qualified web traffic. Sounds great, doesn’t it? Guaranteed efficiency – SEO targets mainly users who are looking for your products and services online. Which means that it is way more effective than other marketing strategies. For example, cold-calling will result in higher costs for you without guaranteeing the same impact on your business. Brand popularity – being on the first page of Google makes users associate your brand with the certain keywords. But that is not all. 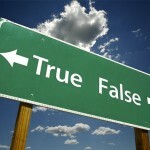 Companies with top ranking are generally believed to be much more trustworthy. So, SEO does help your business build customer loyalty, too. Site usability – when you try to make the website easier to navigate for the search engines, you clearly do the same for the users as well. Improving the site‘s architecture allows people to find the information they need without any problems at all. 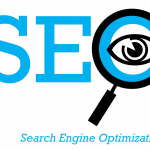 Long-lasting effect – and last but not least, SEO gives your website a long-term advantage. What does this mean? Well, if the certain pages are rated valuable, they may stay in the top results for months and even years. That way one published article can lead traffic to your site every single day. Could you possibly wish for anything more?